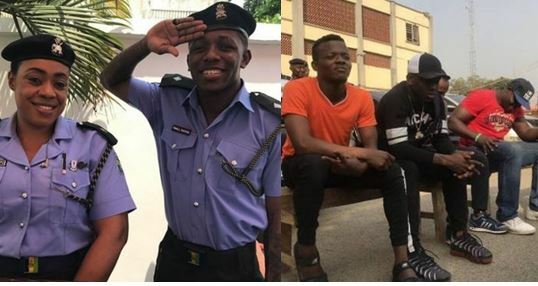 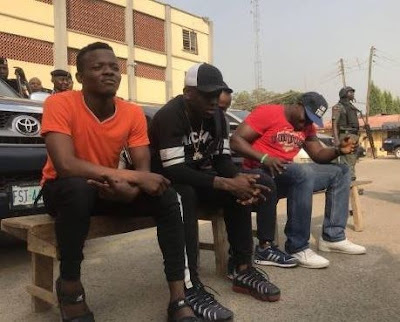 Nigerian embattled Singer, Small Doctor has been released from police custody today Dec 4th following his apprehension for illegal possession of firearms and threatening violence against an officer of the law. 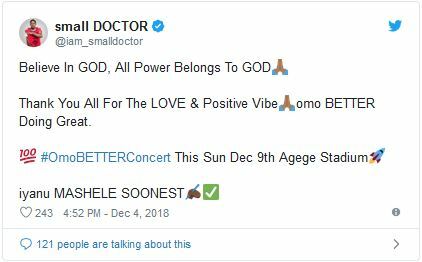 Taking to his twitter handle, “Small” as he is fondly called thanked all that stood by him in this trying time, and promised his 1st ever show slated for Sunday, 9th of December is going to hold. Thank You All For The LOVE & Positive Vibe omo BETTER Doing Great.